The set costs $25.00 with a value of $96.00. That is a huge savings and well worth it. These are FULL SIZE Alter Ego Lip Glosses. LORAC is known for their high quality and pigmentation. See below for swatches of the shades in the set. 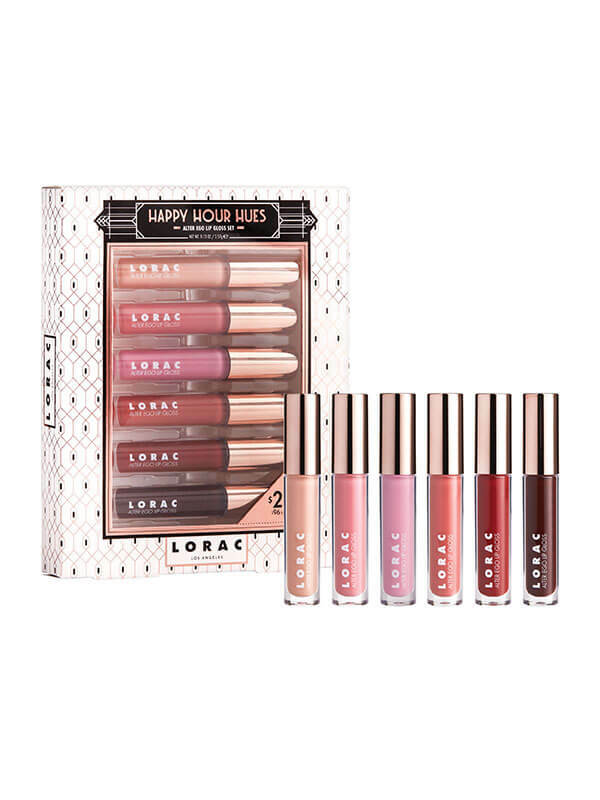 This set is great for anyone who loves lipgloss. Or for anyone who loves makeup for that matter. It is a great Secret Santa gift or stocking stuffer. The price is right for this gift for it to be given to a sister, friend, cousin or just about anyone. This set is available online at www.loraccosmetics.com and in Ulta and Kohl's locations around the country. Like LORAC on Facebook:https://www.facebook.com/LORACcosmetics; Follow LORAC on Twitter:@LORAC_Cosmetics; Follow LORAC on Pinterest:https://www.pinterest.com/loraccosmetics/; Follow LORAC on Instagram:https://www.instagram.com/loraccosmetics/;Follow LORAC on Tumblr: http://carolshaw.la/; Follow LORAC on YouTube: https://www.youtube.com/c/loraccosmeticsinc.